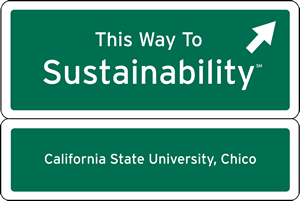 This Way to Sustainability Conference is a nationally recognized, student-run sustainability conference held each year at the Chico State campus. This non-profit event hosts over 100 sustainability professionals from throughout the country who come together to educate and collaborate on a variety of sustainability related topics during this two day event. Attendees include students, faculty and staff from throughout the CSU, UC, Community Colleges, K-12 students and educators, business leaders, non-profit organizations, and community members from throughout California and beyond. Conference proposals are now being accepted through the deadline of October 31, 2018. Hosted by the Institute for Sustainable Development and the Center for Regenerative Agriculture at CSU, Chico.